Our coaches are an experienced & highly qualified staff comprised of current or former All-Americans, High School Coaches, and Collegiate players. Our coaches remain with their teams the entire year utilizing similar teaching techniques that focusing on advanced individual skill development and ensure continuity. Although Middle School girls (6th-8th graders) will be doing far more advanced concepts within each offense and defense than the Elementary School Girls (3rd-5th graders), the same general formations and concepts will be taught providing continuity and consistency season to season, year to year, and coach to coach in certain situations. That foundation enables a higher level of team success during competition. Coach Hannah is a graduate of Glenelg High School (class of 2015) - where she was a 3 year letter winner on the girls lacrosse team and 2 year Varsity Captain. In her Senior year as a Gladiator she led the team in goals and assists, was selected First-Team All-County, earned a Washington Post Honorable Mention, was selected to the Academic All-American team, and received the US Marine Corps. Distinguished Athlete Award. 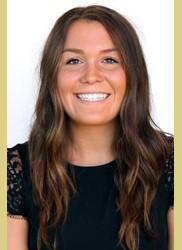 Currently Coach Hannah is her Senior season at Lindenwood University and captain of her team for the 2nd time. ​Coach Sami is a graduate of Glenelg High School (class of 2015) where she lettered in lacrosse, soccer, and track; and earned the Gladiator's Unsung Hero Award as a senior. Coach Sami also played for the M&D Lax summer club and Heros summer club teams. Beginning her College playing career at Campbell University. 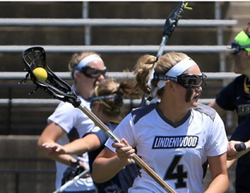 Coach Smit is now entering her Senior season at Lindenwood University. Coach Chad played youth and high school lacrosse before becoming a fan of the women’s game watching his two daughters play. Chad has coached girl’s lacrosse at the Rec and Travel levels in Howard County and received training through clinics offered by U.S. Lacrosse. Chad believes planning, fundamentals and positive coaching are keys to promoting growth and the sport of women’s lacrosse. I was born and raised in Howard County where I still reside with my daughter. 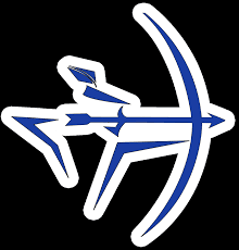 I grew up playing Howard County Sports with both Cobra Lacrosse and Hockey with the Howard County Huskies. Playing in the Howard County athletic programs helped me develop discipline, understanding of team sports, sportsmanship and allowed me to have life long friendships. I love the game of lacrosse, and I'm passionate about giving back to the community that has been so good to me. I am excited to share what I have learned, help our players develop their skills and have a lot of fun! Delaney is a graduate of Glenelg HS and current sophomore playing lacrosse for the. Coach Kirsten is a graduate of Centennial High School here in Howard County where she played lacrosse all four years. She was selected as All County First Team in her Senior year. She continued her lacrosse career by attending Gettysburg College, where she played all four years and was captain in her senior year. She still ranks in the top ten for total draw control for a single season. Coach Matthiesen had coached youth girls lacrosse for the Freedom Lacrosse Club for the 6 years prior to joining HOCO. Rob played his high school lacrosse at the McDonogh School before playing collegiately at Lynchburg College in Virginia. Rob has coached boys and girls of all ages, from elementary school up to high school. 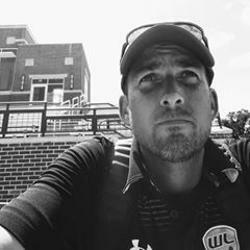 His experience includes coaching teams at the recreation, travel, and club levels. Coach Ferrer is dedicated to advancing the sport of lacrosse, and since 2012 he has been on the Board of Directors for the Howard County Lacrosse Program. Rob also has continued pursuing his passion for the sport by playing with the Glyndon Lacrosse Club in the Maryland Masters League. Rob and his wife Katie live in Clarksville with their three children. Coach Pekins is a Hammond High School Girls Varsity Lacrosse alumni - Class of 2016. Where she was a 4 year Honor Roll student athlete; earning 2nd Team All County Honors in both her Freshman & Sophomore years, and 1st Team All County Honors in her Senior year. A Brine Lacrosse Classic Alumni and product of the HC Lax Rec program & Anchor Lacrosse Club - Zoe played in the 2016 Maryland Crab Bowl. 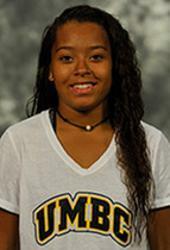 Currently Coach Pekins is in her Junior year at UMBC playing lacrosse. Coach Laurie is a graduate of Great Valley High School (Malvern, PA) where she played both field hockey and lacrosse as a 3-year varsity starter. She was selected to multiple All-Area lacrosse and field hockey teams both her junior and senior year. Coach Laurie was also a competitive swimmer for a club team and represented her team and high school at state and national level meets. After high school, Coach Laurie attended James Madison University in Harrisonburg, VA as a Division 1 swimmer specializing in butterfly and sprint free where her team won two CAA championships. Coach Laurie has been involved as a youth coach for the past 6 years in the Howard County Lacrosse program, the last 2 as a coach with the Cobra Midget team. Laurie served the HCLP recreation program for 4 years as an age group coordinator and is starting her third year on the HCLP board as the acting Girl's East VP. 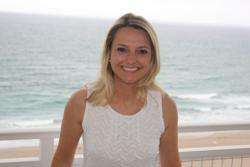 Laurie is mom of three busy middle-schoolers, coaches field hockey and works as healthcare IT consultant. 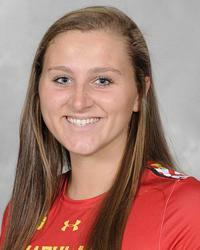 Coach Eyre is a graduate of Henderson HS (West Chester, PA) where she played Lacrosse, Field Hockey, and Gymnastics. She was co-captain and 1st team All-Chesmont (FH & Lax) her senior year. Coach Eyre is a 1996 graduate of Randolph-Macon College, where in continuing her Lacrosse and Field hockey career she was a 2 time co-captain, Honored All-American (FH and lax), named the ODAC Player of the Year in Lax her senior year, and ended her career with total goals ranked 2nd in NCAA history, & 4th in career points. In 2010, she was inducted into the Colleges Athletic Hall of Fame at Randolph-Macon (FH and Lax). 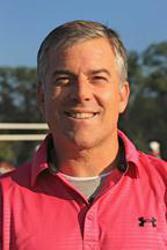 Coach Eyre has many years of coaching experience in lacrosse and field hockey from youth up to high school. Outside of coaching, Coach Eyre is a headhunter specializing in recruiting IT professionals who lives in Glenwood, MD with her husband Matt and three lacrosse playing children. Nominated to the HCLP Board in June 2016, Coach Eyre is the acting Girl's Director of Coaches Education. Coach Kelle grew up in Baltimore, MD and began playing lacrosse her sophomore year at Woodlawn HS, where she was a 3-year starter on the varsity team. In her senior year, she was the first women’s lacrosse player from Woodlawn HS ever selected to the All-County 1st team. She was also selected to participate in the East-West All Star game as a senior. After graduating, Kelle earned a scholarship to play lax at Towson University starting all 4 years, winning the East Coast Conference in 1990 & 1991. In her senior year, she was selected to the US National 2nd team. She played several years for the BWLA – Baltimore Women’s Lacrosse Association, and began coaching a JV team at Landsdowne HS right out of college. She has been coaching for the last 3 years including girl’s Clinic and Tyker with HCLP. 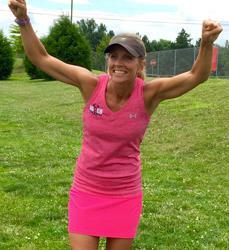 Kelle resides in Ellicott City, MD with her husband Brian, who also coaches with HCLP, and their two children. Nominated to the HCLP Board in June 2016, Coach Kelle sits as the acting Communications Director. Coach Pat grew up playing Cobra lacrosse in Howard County, was a 1st Team All-American Lacrosse player at University of Maryland, Coached at Univ. of Maryland and has continued coaching youth lacrosse, High School Lacrosse, as well as various Lacrosse, Clinics and Camps for the past 15 years. Coach Legar graduated from University of Maryland in 2018 where she played lacrosse all four years winning two National Championships in 2015 and 2017 and four Big Ten Championships. Before attending Maryland, she was a four year varsity lacrosse player for Garrison Forrest and a three year varsity field hockey player winning the IAAM championship in 2011 and 2012. She played for M&D 2014 Black and coached M&D 2019 Black for one year as well as M&D 2021 Black for four years. Coach Smith played three sports (soccer, basketball and lacrosse) for Fallston High and her teams went to the soccer and Lacrosse State playoffs all 4 years. She was named All County 1st Team (2 years) and went on to play lacrosse for Western Maryland College (McDaniel) for 4 years, graduating in 1996. At Western Maryland College she was named Brine All American Division III All-South Team, MAC Western Div All Star Squad (2 years), All Centennial Conference (2 years), MVP of the year, and was a member of the Div III North/South All Star Team. Denise has coached in the Howard County Lacrosse Program for 3 years and she has also coached soccer for three years with SAC and HCPR. 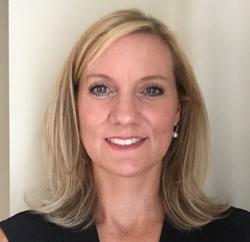 Denise works as a Business Account Executive for Sprint and currently resides in Ellicott City with her husband, Chris, two children and dog. Colleen grew up in Pennsylvania and graduated from Downingtown HS where she played field hockey, basketball and lacrosse. She was a 1st team All-Chesmont selection, and selected to the Pennsylvania Senior All-Star game for lacrosse. 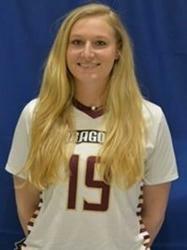 After graduating she earned a scholarship to play lacrosse for the University of Massachusetts. In her senior year at UMass, she helped her team win the Atlantic 10 Conference. Her team went on to win the Atlantic 10 Championship. During that season she was a part of a nationally ranked defensive unit for UMass. She stayed on to be an Assistant Coach for the 2001 UMass lacrosse season. Colleen has coached all levels of lacrosse including collegiate, high school and youth. For the past 6 years she has coached both youth soccer and lacrosse through Catonsville Rec and Parks. Off the field, Colleen works as an activewear and golf apparel designer. She lives in Catonsville with her husband Matt and their 3 children. Coach Angie was raised in Ellicott City and is a graduate of Howard High School. She attended University of Maryland Baltimore County. Angie has been coaching youth lacrosse for the past 6 years for the HCLP program. She works for the Centers for Medicare and Medicaid Services and lives in Ellicott City with her husband, 13 year old son and 10 year old daughter. Jason was born and raised in Catonsville and is a graduate of Mount Saint Joseph High School. He attended Duke University for college. Jason has been coaching youth sports for the past 6 years and has been a coach in the HCLP for the last 4 years. He works as a Pediatric Intensive Care physician at the University of Maryland School of Medicine and lives currently in Ellicott City with his wife Melissa and their 3 daughters. Coach Tim grew up in Ellicott City and has been around lacrosse most of his life. He is a graduate of Mt.Hebron High School here in Howard County where he played lacrosse on the 1991 State Championship Team. 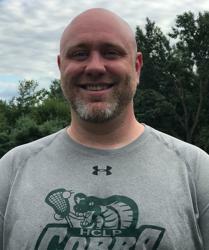 Coach Tim has been involved as a youth coach since the mid 90’s and has been coaching girls’ lacrosse for the past 3 years in the Howard County Lacrosse program. Outside of coaching, Coach Tim is a Commercial Banker for Sandy Spring Bank and lives in Ellicott City, MD with his wife and two children. Nominated to the HCLP Board in August 2017, Coach Tim sits as the acting Girl's West VP. Coach Machiran was born and raised in Howard County where she still resides with her husband and four children. She played soccer, basketball and softball for four years at Atholton HS, and over the past 18 years has been actively involved in lacrosse participating and/or coaching with her husband, nieces, nephews, sons and daughters' teams. A teacher and reading specialist by trade, she loves teaching and has enjoyed coaching all of her children in soccer, basketball, and lacrosse since they have started playing. She is excited to continue to spread the love of the game to this 2028 team and thrilled that her daughter will be joining the HoCo Lax family that her two older brothers are also involved with as 2026 and 2024 players. 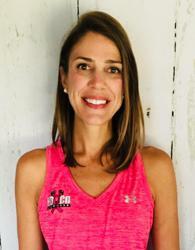 Coach Dara is a graduate of Hammond High School in Howard County where she played lacrosse for four years and was also a member of the dance company. She went on to be recruited to Mercyhurst University, where she was a four year starter. In her senior year at Mercyhurst, she led the team in goals—with one of the top five single season outputs by a Mercyhurst player. She ended her career third in career points and was selected to play in the IWLCA North-South All-Star game. While at Mercyhurst, Dara studied the Arts and obtained a BA in Graphic Design. She resides in Ellicott City with her husband and three children. When she isn’t coaching, she works as a freelance graphic designer, enjoys long runs, practices yoga, and is an active volunteer in her children’s schools.